I’m lumping days 4 and 5 of my starter saga together because things have pretty much been low key for the past two days. Basically, I’m feeding the starter every 12 hours, but it has not grown in size since day 2. Day 4: (evening) Very few bubbles visible on top, but no change in size – fed starter. 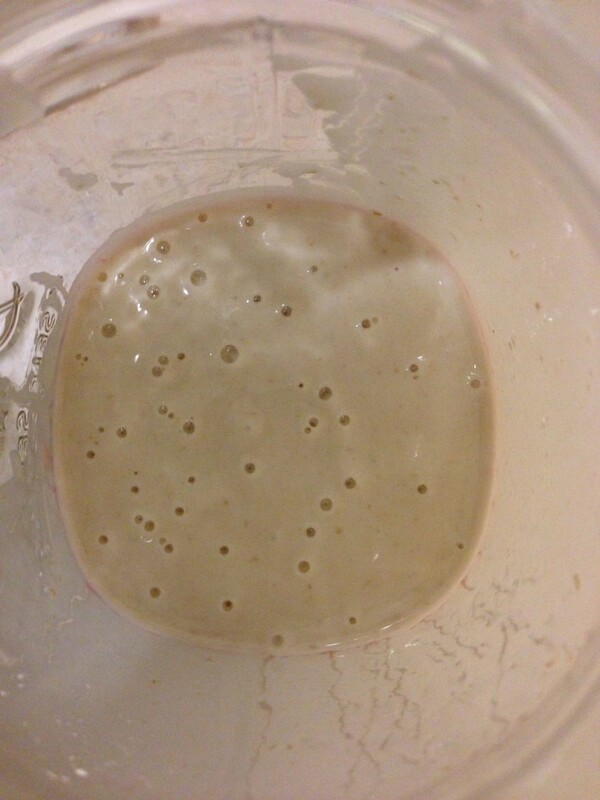 (morning) Just as last night, there are a few bubbles on top, but the starter has not grown – fed starter. 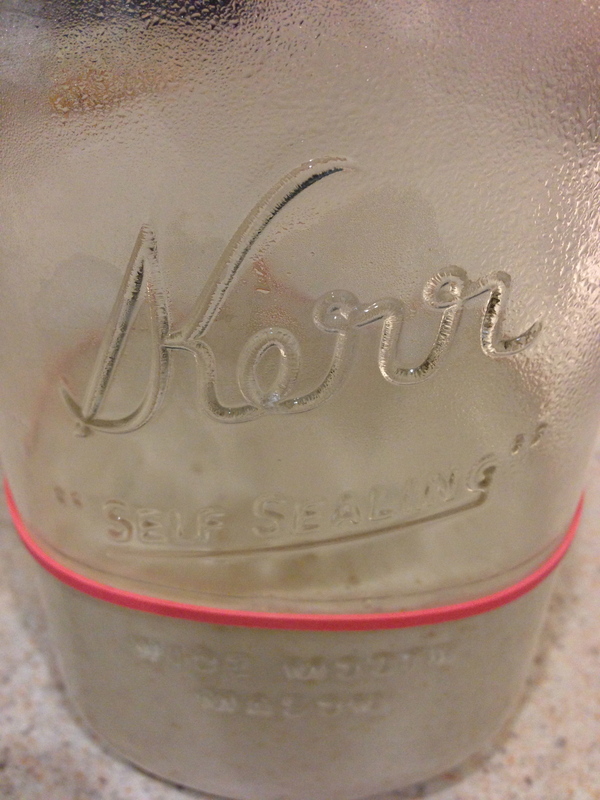 Day 5: (evening) Still a few bubbles on top, but no change in size – fed starter. (morning) Bubbles on top, but no change in size – fed starter. After a few days without seeing any more growth, I started doing a little research as to what might be the problem. I was encouraged to find that as long as there are bubbles, the starter is working. So, it looks like it’s just slow going for me.